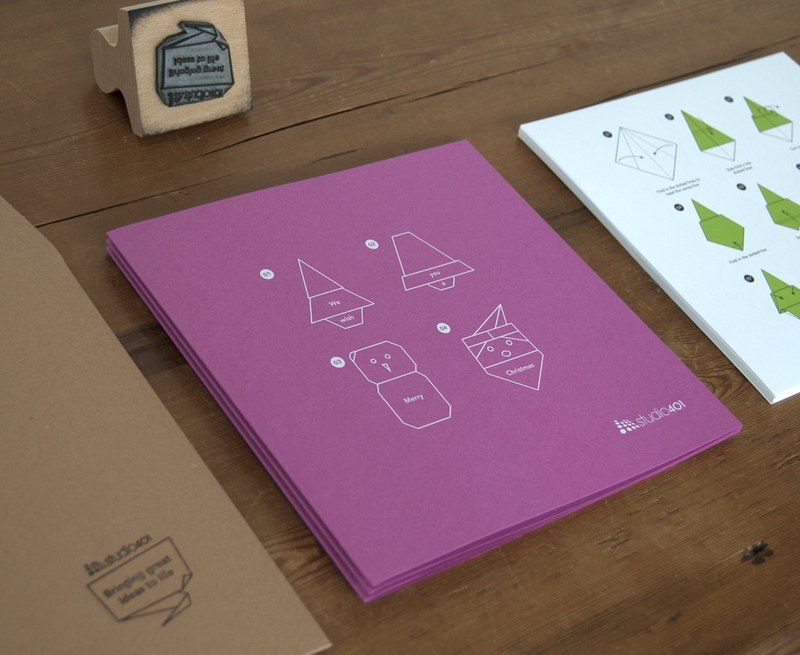 This year we decided to use origami as the theme for our 2013 Christmas card. The cards were sent out with Pantone coloured origami paper together with instruction sheets for making 4 Christmas themed objects. The card design was a play on the instruction sheets, encouraging the recipient to read the Christmas message from step 1 to step 4. 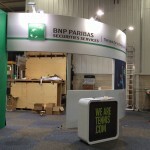 The origami theme conveyed the idea of turning a blank canvas into something simple but beautiful. 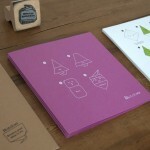 The cards were printed white ink on Colorplan fuschia stock. 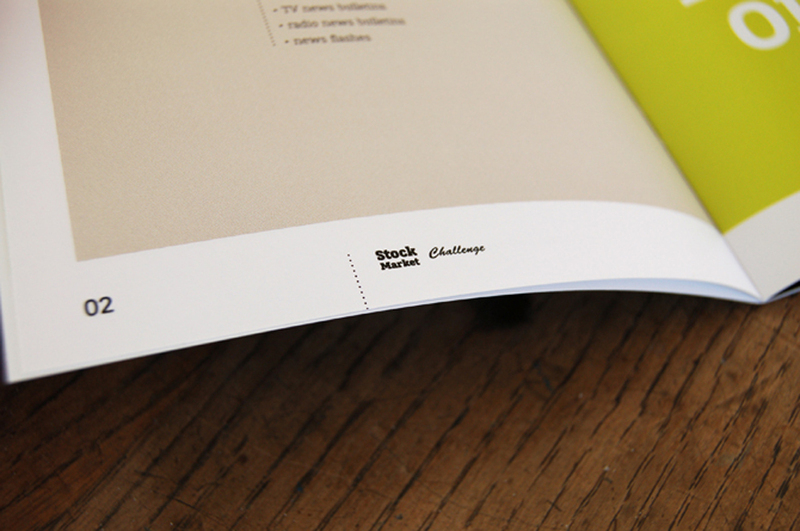 The kraft capacity envelopes were individually rubber stamped with the project strapline ‘bringing great ideas to life’. 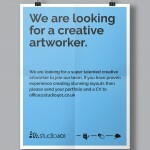 Roll on next Christmas! 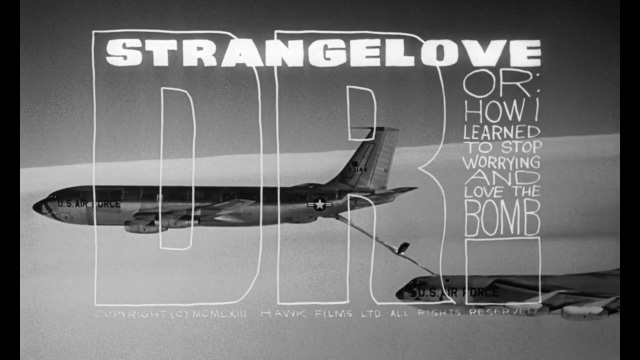 The font Strangelove Next is inspired by Stanley Kubrick’s movie “Dr. Strangelove”. The original titles were designed by Pablo Ferro, who is one of the most acclaimed film title designers, especially famous for his hand-drawn lettering. 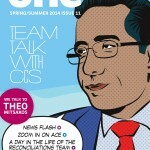 Studio401 were asked to create a new look for BNP Paribas digital staff magazine oneUK. The new design features this font throughout. Stock Market Challenge is an initiative bought to schools across Scotland to give students a taste of what it would be like to work as a trader on the financial markets. Students can buy and sell shares and currency just like professional traders do. 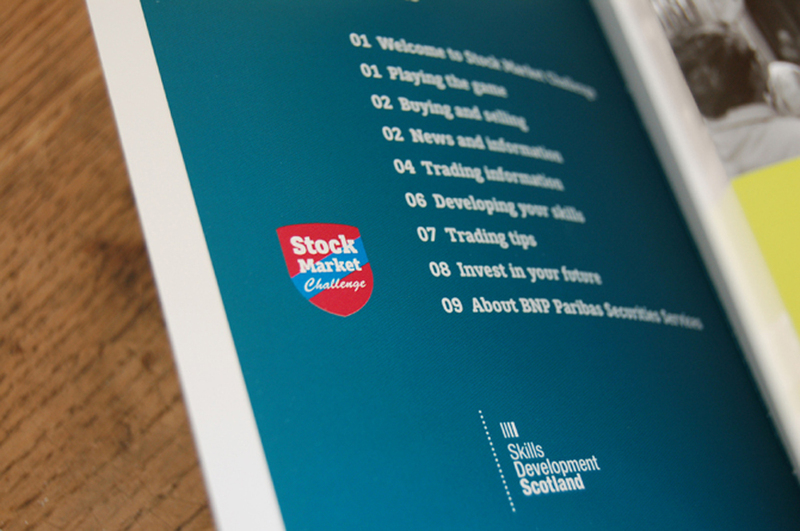 BNP Paribas Securities Services and Skills Development Scotland needed an identity for Stock Market Challenge and also a booklet that could be given out at the schools to introduce the concept of the game. The logo is based on the shield of a traditional school badge and the blue line conveys an upward plot of a stocks and shares graph. 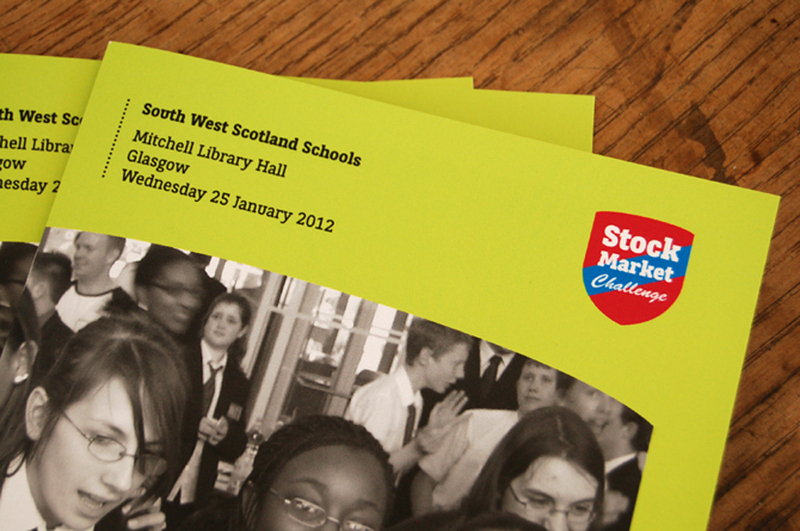 The booklet was delivered to schools across Scotland and was a huge success.